The Radium Hot Springs Visitor Centre, one of a kind where you will find everything you need to discover Radium Hot Springs and the Columbia Valley. 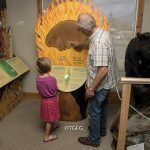 The Radium Hot Springs Visitor Information Centre is much more than you would expect from a traditional Visitor Centre. Our friendly, knowledgeable visitor information counsellors will be on hand to answer questions and help you find information local activities, attractions and accommodations and dining options in Radium Hot Springs and throughout the Columbia Valley. The Radium Hot Springs Visitor Centre is open 362 Days a year, only closing for Christmas Day, Boxing Day and New Year’s Day. If you cannot reach us during our business hours we can be reached online through Facebook and Twitter to answer any questions you might have. 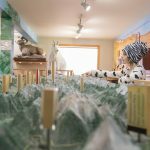 The Radium Hot Springs Visitor Information Centre is an attraction in its own right and we aim to make every visitors experience with us a remarkable one! 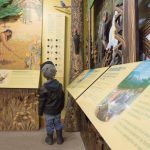 The centre is home to a wonderful local wildlife exhibit that includes many pieces to pick up, touch, and feel. 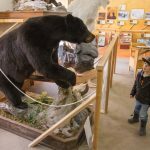 The exhibit is constantly growing, and is great for the young and young at heart. The exhibit includes print material to take home, or if you prefer to a digital copy you can find it here. 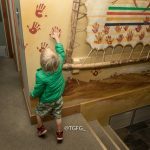 Along with the wildlife display visitors will find geographical and first nations cultural interpretive displays. The Radium Hot Springs Visitor Centre is also a retail source of souvenirs in partnership with the Friends of Kootenay Natures Gift Store where you can find mementos of the community and unique items sourced from local vendors from markets throughout the Valley. You can also purchase your Parks Canada day or annual passes, as well as day passes for $25 to the Forester Creek Riding Area maintained by the Windermere Valley Snowmobile Society. Employees at the Radium Hot Springs Visitor Centre are a wealth of knowledge for backcountry safety, avalanche danger, road and trail conditions and wildlife interaction advice. Never hesitate to ask, we are always happy to help. 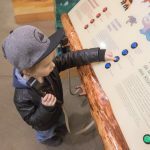 So as you can see it’s not a big place but it is one of a kind, and you will find everything you need to discover Radium Hot Springs and the Columbia Valley right here in the Radium Hot Springs Visitor Centre. We look forward to seeing you soon!